Fénidecht – Day Z while you're at work!!! It’s a normal day at work when disaster strikes. The roads are clogged with cars, no one is moving but everyone is trying to get home or away. You are wearing a suit, dress shoes and stuck 45 miles from your home with no way to get back to your family. Except, that’s not true. You are capable of walking, you know the route and you have maps…and you have a pack with all the supplies you need for three days on the road. You can get home. Welcome to part three of my undead rising survival posts. In a compartment in your car you should have everything you need to get from your work to your home as quickly and safely as possible even without a vehicle. I have seen this kit call a ‘get home bag’ and since I actually do wear dress-shoes and a tie and work 52 driving miles and across two rivers from my home I have put one together. I started with a smallish military pack with lots of places for straps and several pockets. It is much smaller than the Zombie Apocalypse Go-Bag as it will only contain what I need to get home over a two day hike. To this I added the same 2-day disaster kit used in the Zombie Apocalypse Go-Bag, called the Lifeline 1 Person 48 Hour Essentials. I chose this kit because it is a self-contained unit with 8 drinking water pouches, 2400 calorie food bar, a poncho, a space blanket and a few other items that may come in handy. Knowing it is not enough water for the 4-5 day hike i have added a LifeStraw and a canteen. Survival over the four days assured, now I need to get home and wearing a suit and dress shoes is not going to cut it. 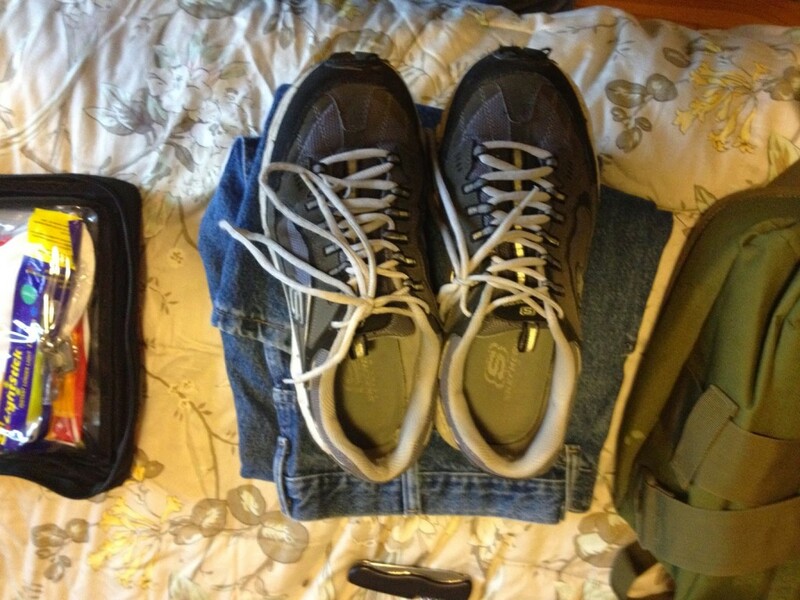 So I will be changing into an old pair of sneakers, jeans, and a cap that are stored with the pack. I chose an older pair of sneakers that are still in great shape because I know I can walk long distances in them without harm to my feet. Do not buy a new pair of shoes for this, as they may cause you more harm as you break them in. The jeans are just any pair of jeans I store in my car with my equipment for just such a situation. In the pack you should also have at least four pairs of socks and underwear so you can change them daily on the way home. This is not only for comfort but the new socks will help keep your feet healthy. 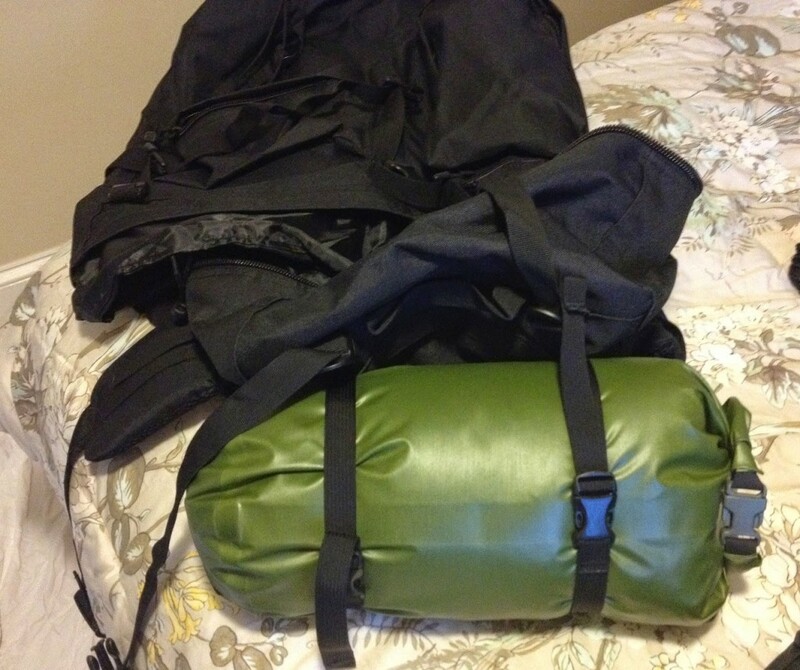 Attached to the pack is a US Army Patrol Bag in a waterproof stuff sack. After-all you are going to take a few days to hike 45 miles so you need to be prepared to sleep someplace. Be sure to look for shelter that is unoccupied and allows for easy escape should you have to get out quickly. The sleeping bag is rated down to 30 degrees so coupled with the space blanket, so long as you stay dry, you will stay warm. Other necessities I threw into this pack are an LED flashlight with batteries, a Swiss army knife with a locking blade and can opener, toilet paper, toothbrush, toothpaste and a first aid kit. Hygiene is often not something regular people think about when planning for a disaster, but hygiene not only makes us feel better but keeps us healthy. Feeling clean and healthy on our trek will help us stay focused on the task at hand; getting home to our families. 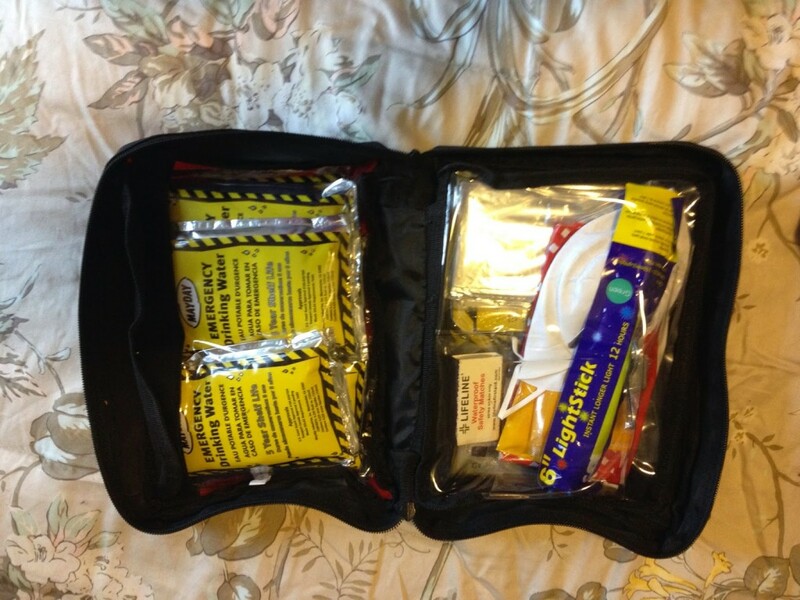 This pack is truly just the basics, you can include any number of items to make the journey more comfortable or safer. You should customize the pack based on the areas you have to traverse as well, some places are safer than others and some have better options for shelters than others. You have to decide what you are willing to carry, use, and store in your car for long periods of time. All in the hope you never have to use any of it. * There is also a pre-made pack that meets most of the needs given above from Lifeline if you don’t want to put the kit together yourself. What follows is a checklist for putting this kit together. Fénidecht – Shelter-At-Home During the Revenant Cataclysm! I started this series with the unlikely, for me, event of having to quickly evacuate my home and head onto the wilds of the Appalachian mountains. 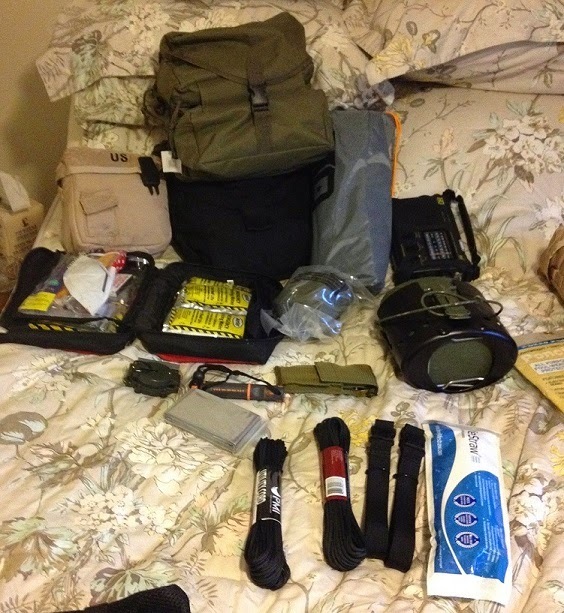 Since I do not expect to have to flee from zeds, reds, or feds putting the Zombie Apocalypse Go-Bag together is mainly just an exercise in preparedness. It is far more likely that an event will occur that will require me to go without electricity or running water for an extended period of time, such as what occurred after hurricanes Katrina and Sandy. Given such an event if you are even minimally prepared and the conditions remain safe, you can remain home for as long as you have the supplies. Minimal preparation means different things for different people. For purposes of this blog minimal preparation means you have a equipment and supplies to remain in your home without electricity, running water or gas for at least three weeks though my family’s plan keeps us in place for up to three months. By being at your home one of the three main necessitates is already covered – shelter. However, you should probably secure your shelter from invasion by boarding up lower windows and making your presence visible in some way. This will help deter looters who may take advantage of the situation if you happen to live in a more urban environment. If you live in a more rural area this is less of an issue. You should also pull out your Zombie Apocalypse Go-Bag as their are some items in there that you can use in this situation. The government states that you need at least 1 gallon of water per day per person for drinking and sanitation. So you will need to ensure you have a regular water supply, whether it is the city water that is still functional or a creek/river that has not flooded. Without a water supply you can not stay in your home for an extended period of time. If you pre-plan you can store jugs of water for up to 6 months, so if you have the space store as much water as you want. 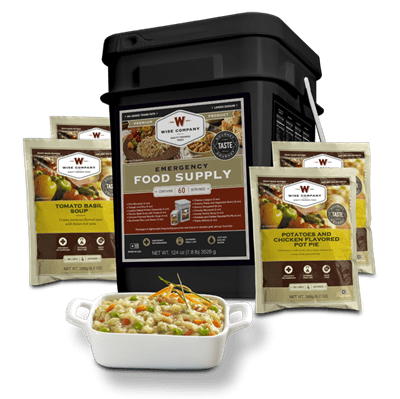 To augment whatever you have stored you can get a special emergency drinking water storage tub liner that can hold up to 100 gallons. Due to the way our water system works, unless the main near you home has broken you will have time during and shortly after the disaster to fill your tub liner. If you do live near a creek having a water filtration system (from your Zombie Apocalypse Go-Bag) will ensure you have a constant source of water, even without city water functioning. A well will pose a particular problem if you lose electricity, which I will cover a little later. In a pinch you can also drain the pipes and hot water heaters. Never drink water from boilers, radiators, water beds, swimming pools or flooded rivers and streams. Given a water supply that is reliable and long term, food becomes the problem. To prepare for a long term event you have to store food, even if you have a small farming plot. To properly plan for this you have to already know how long you are willing to stay in your home after a disaster without a functioning grocery store near by. You can augment your stored food by having a farming plot on your property, livestock or even hunting. However, these are unreliable sources so it is best to have at least a minimal supply for stored food. In my plan we have decided that our limit is three months so unless it is spring through early fall we won’t be growing much of our own food. So we have invested in a 4 months supply of specially prepared foods with 25 year shelf life at a cost of about $1500.00. The pre-packaged foods we have chosen allow for a great variety of meals and snacks, are easily augmented with fresh or canned foods and can be eaten without heating, though probably pretty bland. We have also planned for our pets to have a regular food supply of kibble for the same period of time. Sanitation is the next problem one has to confront once your basics are met. If you have a regular water supply you can continue to use your septic or sewage system by using buckets of grey-water or river water to flush the toilets. The best source for toilet flushing water is the water used to clean dishes, clothes and bathing. If you want to be truly prepared for this situation you can invest in a compost toilet that you can bring out and the resulting compost can be used to maintain your gardens. 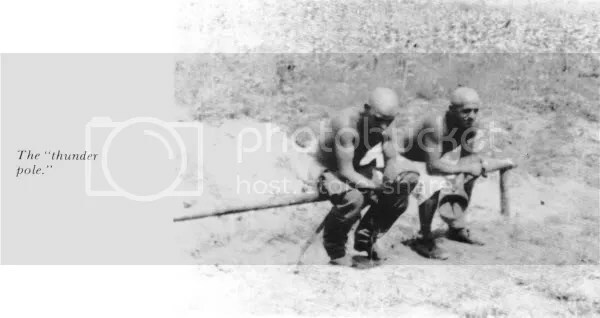 If sewers lines are non-functional and you do not have a composting toilet then your last resort is to dig a pit or use the thunder-pole and ditch methods. If you do go this route place the sanitation pit as far away from living quarters as is safe and away from water sources. Never put toiletry products into your composting toilet or sanitation pits. Food preparation is something we considered in our plan. Right now we have several methods that can be used during the initial days and weeks of the event. Having done a lot of camping using propane stoves, I can tell you that two large propane tanks to power stoves and grills will last you a few weeks easily. Without propane you will have to resort to cooking over a fire, either a fire pit outside or a fireplace indoors. This means you will need a wood supply, so be sure you have an axe and saw in your shed so you can go out and cut down tree’s. Do not tear down peoples houses, one day people might want or be able to return to their homes. Always know what is going on in regards to local emergency response. Situational awareness will keep you alive. Pull your radio out of your Zombie Apocalypse Go-Bag and be sure to listen to what is going on, you may have to pull out quickly. 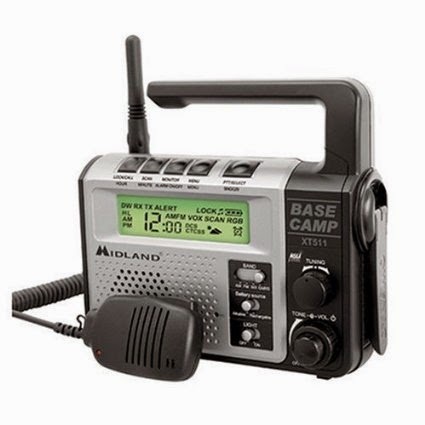 In the go-bag the example I gave was a multiband emergency radio receiver but you can also opt for a two-way GMRS radio that has built in NOAA, FM/AM and crank charger for the rechargeable batteries. What is important is that you can receive emergency broadcasts. that can make a huge difference on whether you stay or leave. I have a 5000 watt unit with a 10 gallon tank that if running at max, will last 12 hours, however we won’t need to run it at max. Another option is to have a dual-fuel unit that runs on natural gas and gasoline which would allow you to operate it without concern until the natural gas flow ceased. You will also want to store some fuel for the generator, but look to local ordinances for how much gasoline can be stored together in a single place. 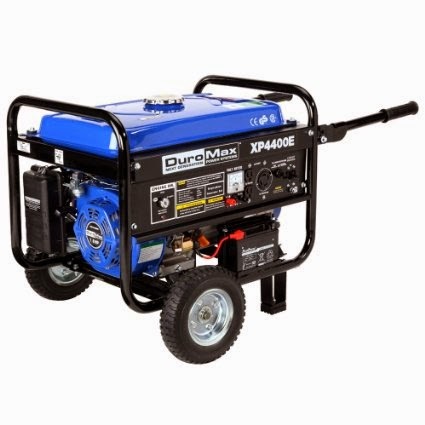 If you do have a generator, then you will want to test it regularly and have a plan as to what it will power in the event of an emergency. In my situation it will power a gas furnace, until the gas stops flowing, the refrigerator, a freezer and the sump pumps. It can also power the router and computer if internet connectivity is still available. We found that 10 gallons will last about 48 operating hours running these items 18 hours a day, and with a large enough fuel supply this is plenty given as you run out of items to keep frozen or refrigerate you can disconnect appliances. Seeing as you are staying in your home, there are some items that you should already have to aid in you in staying safe and comfortable. Flashlights with several replacement batteries, as well as covered candles and matches or lighters. Your home should already have a first-aid kit, to which you should add dust masks just in case particulates get sent into the air. You should have plastic sheeting, or tarps with duct tape to aid in creating safe uncontaminated spaced within your home should the need arise. And these are just examples. Preparing to shelter-in-place can be as simple or as prepared as you wish. There is also no excuse to not be even a little prepared when several government agencies, non-profits and even “radicals” have published lists upon lists upon instructions on what to do to be ready. You do not have to be a prepper, believe in zombies or fear the government to be ready. You just have to recognize that disasters have already happened, and will happen again. If you have done nothing else, go to READY and read what they suggest, or go back and read about the Zombie Apocalypse Go-Bag so you have some of the bare minimum items on hand.